Day1: From airport Transfer to Tarangire National park early in the morning, the guide will pick you up from your hotel and drive you to the famous Tarangire National Park. The park is made up of seasonal marshes, bush savannah, with the baobab trees. This national park is one of the best places in the whole of East Africa since you get to watch the elephants up-close. There are over 4000 animals and these include; Masai giraffes, antelopes, buffalos, leopards, lions, baboons and many more bird species. In the afternoon, you will arrive at Kirurumu tented lodge. Day2: Transfer from Tarangire to Serengeti national park Have breakfast and after continue with the lush crater uplands, the fertile soils here also allow crops like corn, wheat, coffee to be able grow. Later on, you will view the plains of the Serengeti National Park. Have lunch and after proceed to Olduvai Gorge. The area here is so dry and it’s well known for the archaeological couple of Leakey. These both discovered the oldest prehistoric human remains as well as a small museum document of their work. A visit to this place is optional. The name Serengeti also comes from the Masai word known as Serengeti which means endless plains. This can be seen as the grassland savannah in the southern direction stretches to the horizon and is interrupted by the Kopjes, which are bizarre rock formations which are formed by the weathering of the granite crops. These plains are also good for hunting of leopards and the big cats. You will also have chance to view the beautiful creatures within their natural habitats. Within the Seronera Valley which is the central Serengeti Area, you will get to enjoy an evening meal at Serengeti heritage tented lodge. Day3: Explore Serengeti National park This whole day is dedicated to wildlife viewing within the Serengeti. The areas here to be visited will depend where the herds are mostly found. The wildebeests and the zebras in the short rainy season of October and November are found moving from the hills of the north to the main plains of the south. And during the longer rainy seasons of April, May as well as June, they return to North. The guide will know the exact location of the herds and where the best views might be. Day4: Transfer to Ngorongoro Conservation Area Have your breakfast and after proceed for a game drive within serengeti National Park, within the valley of seronera valley, you will find many zebras, lions and the wildebeests, the big cats here include; leopards and the cheetahs. Have lunch and after drive to the direction of the Ngorongoro crater. On reaching the crater, the caldera opens up in front of you and is a good sight to behold. You will also enjoy the fantastic views of the sun as it goes down. Over night at Rhino lodge. Day5: Transfer to Lake Manyara National Park have breakfast and after drive into the crater which has one of the biggest caldera filled with rich and diverse wildlife species. It has got the Acacia forest and the grass steppes were you will find every type of animal from the east African savannah. You can also get a chance to view the big five including; the lions, elephants, Rhinoceros, buffalos as well as the leopards. After having the picnic lunch and wildlife viewing, you will travel to your lodge for an overnight at Kirurumu tented lodge Day6: From Lake Manyara to Arusha This is the last national park you will visit in the Northern circuit. This park is well known for its tree climbing lions. The large part of the park covers the alkaline manyara lake which is seasonally visited by the large flamingos and many other water birds. Along the shores of the lake, you will spot many animals including the elephants, hippos, Giraffes, buffalos, antelopes, banded mongoose and the gazelles. After animal watching, you will be driven to airport for you flight to Zanzibar. Overnight in Tembo hotel. Day7: Tembo hotel to Beach hotel. On this day, you will leave stone town to beach hotel in Zanzibar. On the way, you will do the spice tour. Day8: This day after breakfast, you will be taken by our driver to Kizimkazi village where you will go swim with the dolphin, on the return to your hotel, you will pass by the jozani forest to visit the red colobus monkeys of Zanzibar Island. Day9: Safari blue Safari Blue Tour in Zanzibar is the Zanzibar number one full day trip, this is a sea adventure safari starts from Fumba fishing village, south west coast of the island, the major attraction is to swim, snorkeling, sea foods and sailing within the traditional dhow, the history of traditional dhow dated back to the 15th and 16th centuries, the ages of the moonson winds and the Arab movements. Day10 -13: Free days at beach hotel. Day14: After breakfast, you will be transferred to the ferry or airport for your arrangements back home. 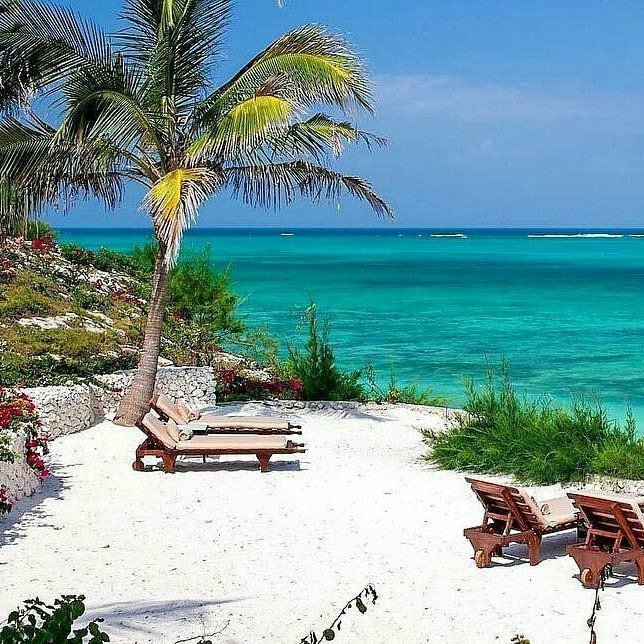 Hotel in Zanzibar will be Ocean paradise beach resort. Pick up from Hotel or Kilimanjaro International Airport or Arusha.